Where to Store Pots and Pans in the Kitchen? 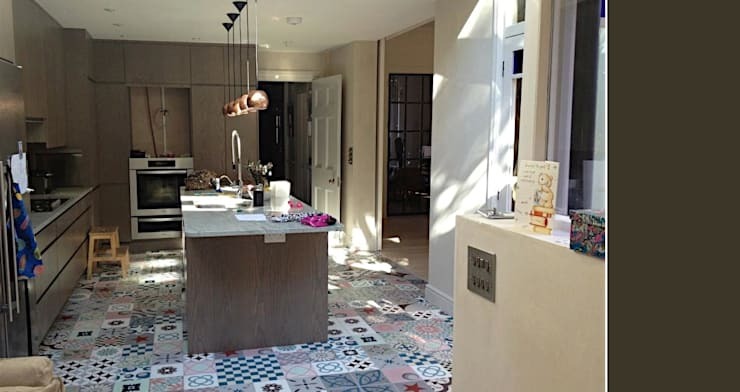 Designing a kitchen can be overwhelming. It has to be planned correctly as to how the cabinets should look, where the pots can be placed and if the pans can be hung. So many small details have to be taken care of. Pots and pans are really hard to place due to their different sizes and bulk. These vessels should be stored in such a way that they are easy to take and can be put away easily. The first thing to decide is whether they should be on view or be hidden. Many people like a clean and uncluttered look, so may not prefer a display of these pans. Also, when kept in view, the pans may also attract dust and grease. However, if some of the pots and pans need be hung, there are several options. The pots can be suspended over islands. The pot rack should be mounted high enough that it will be of easy reach. Pot racks can be made of metal or wood. It should be ensured that either metal or the wood is of good quality. If the quality is not good, the metal may rust or the wood may warp quickly. Pots can be hung from wooden or metal frames fixed on a wall for easy access. 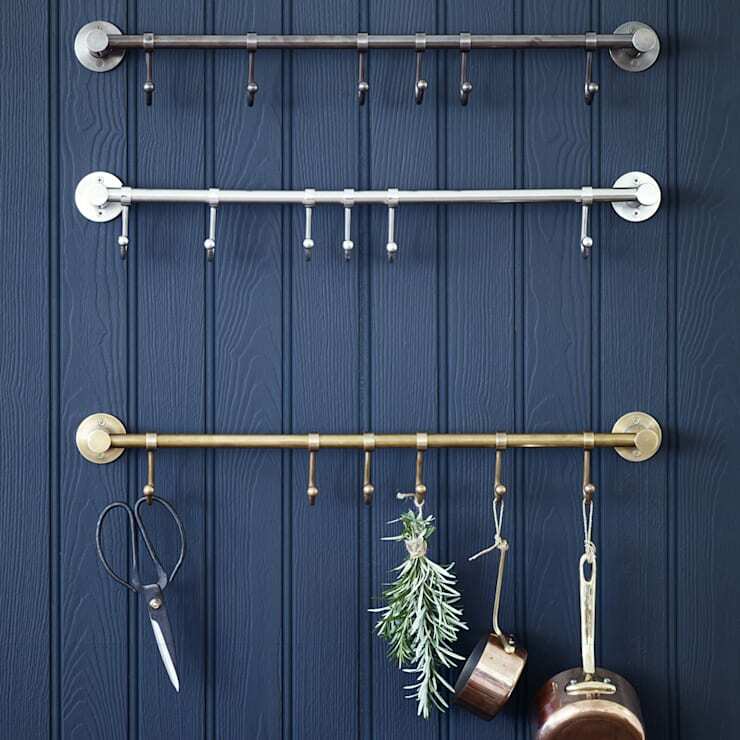 For a more streamlined look pots and pans can be arranged in a straight line on a wall on a linear rack with hooks. Linear racks are good as the pots and pans are easily accessible and not very much in view. This works well in a small galley kitchen as it takes lesser amount of space. 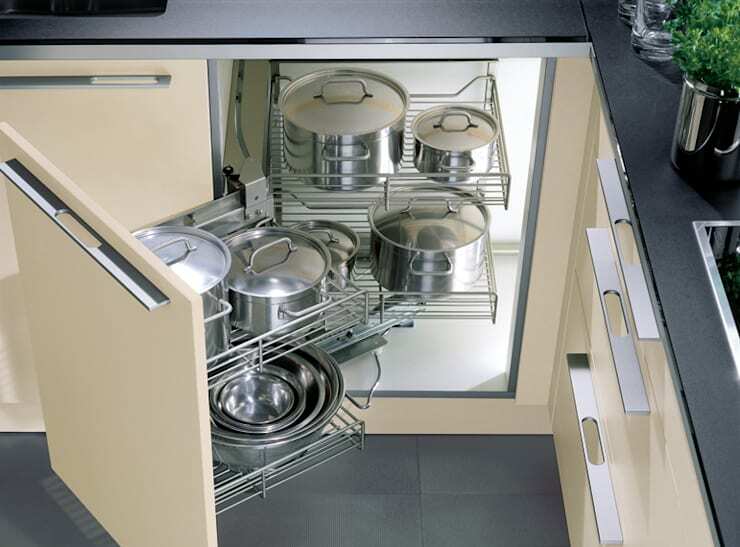 With linear racks a number of cookware can be stored. If pots and pans are used on a daily basis, it can be stored on a shelf above the range. If cooking is done daily, it is also advisable to have a vent hood that serves as an exhaust so that pots and pans do not get greasy. Another fun way to display pots and pans would be to display it on pegboards. The pegboard can be easily made according to preferred size and hook configuration. 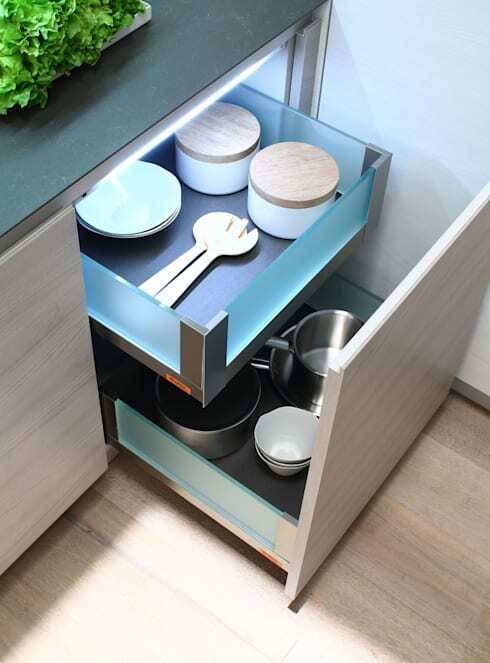 Deep drawers are an excellent option to store cookware. There should be enough drawers to set pots and pans in one layer so that it can be pulled out easily. If there is a cooktop range in the kitchen, drawers beneath the range can be utilized to store cookware. Corner cabinets are also a great idea to store pots and pans. A lazy Susan can be fitted inside this space and pots can be stored neatly. If it is set on a carousel, it can be rotated easily to pull out the necessary pan. Shelves are also a good option to store pans. However, it has to be decided whether the shelves are to be covered or to have open shelves. Open shelves can attract dust and grease and may require regular cleaning. Open shelves are good to store pans that can be displayed openly. Good copper pans look great when displayed in the open and add color to the kitchen. This design has been created by .8 / Tenhachi from Japan. 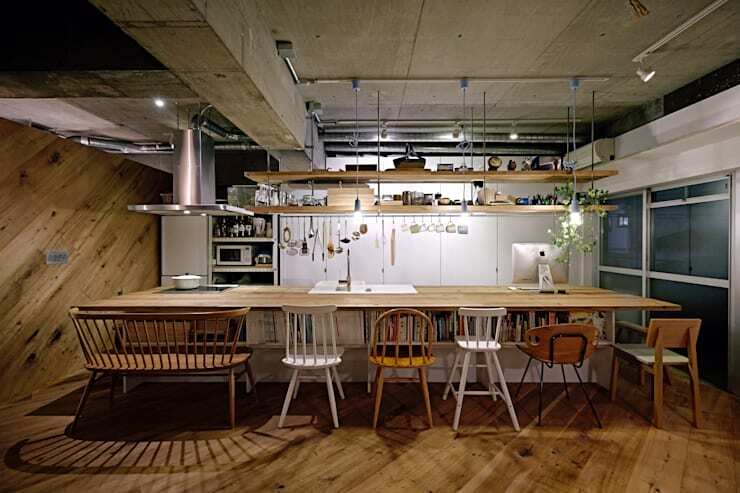 Kitchen furniture can be chosen depending on the size and décor of the kitchen. In a tiny kitchen folding chairs can be used if there is limited space near the breakfast nook. In a large kitchen there are several options to choose from. It depends on the kind of set up the kitchen has. There are several choices for kitchen furniture depending on whether it is for around the island, the counter, small table at the breakfast nook or a long table with several chairs. Kitchen islands can be use to store pans in different ways. Some people pots and pans hanging under the counter of the island. This will be a good idea if the island is not being used for any meal. Another idea would be to customize drawers on the sides of the island to stack cookware. If there is sufficient space in the island homeowner can even consider pegboard drawers or a full-sized cabinet for more storage. If the pantry is not used much for food storage, this place can be customized to hang pots and pans or shelves can be added to stock cookware. When storage space is less, hanging cookware vertically becomes a solution to think about. This will also ensure that the cookware does not take up cabinet space. Installing curtain under the top of the window frame can help with hanging cookware. It will not hamper the light coming in from the window too. If there is an empty wall the pots and pans can be hung artistically in the wall. 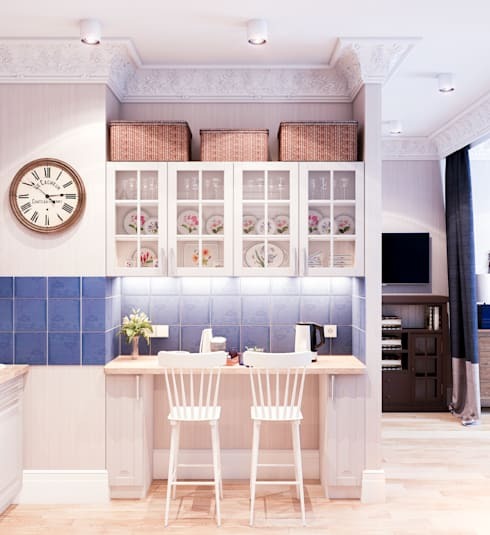 In a narrow wall space with cabinets, hooks can be installed underneath the cabinet to hang pots and pans. Corner cabinets can be used as great storage space for almost anything. Housing cookware in these cabinets is very convenient. There are several types of rotating lazy Susan that can be fixed inside the cabinet. It can be of good quality steel or in plastic or wood. Depending on the budget these things can be fixed. When a pan has to be taken out, simply rotate the lazy Susan to take out the preferred pan. It is easy to use and can be customized according to the number of pans. Good quality steel is long lasting and will not rust. Another alternative is a wooden turntable that can be fixed inside the cabinet. These wooden turntables can be customized according to availability of space. The table rotates when touched and the necessary cookware can be picked up. These rotary cabinets need not necessarily be closed. There are open rotary cabinets in the pantry where food can be stored too.